The European Commission has decided to give Europe’s insurance industry an early Christmas present, in the form of a proposed seven-month delay of its Insurance Distribution Directive that would push the start date back to 1 October 2018. The original implementation date was 23 February. 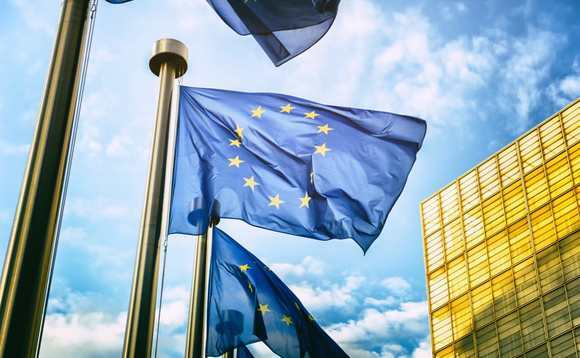 The postponement, which is expected to be adopted, follows a recommendation by the European Parliament and 16 member states that the date be delayed. It was immediately welcomed by industry officials, including Hugh Savill of the Association of British Insurers, and Paul Stanfield, chief executive of the Federation of European Independent Financial Advisers. The postponement of the IDD comes as the European Securities and Markets Authority has announced that it is giving EU investment firms, banks and other financial services businesses an extra six months to comply with key elements of another package of new regulations, known as MiFID II, which are coming into force on 3 January. In a statement announcing the proposed postponement, the commission noted that it had become apparent that “despite the transposition period foreseen and the fact that the date of entry into application was well known to stakeholders”, some insurance distributors, especially smaller ones, “are not yet fully ready for the new rules”. And in addition to pushing back the start date, it said it was also proposing to postpone the application of two so-called IDD Delegated Regulations to 1 October, although EU member states will still be required to transpose the IDD into national law by the original IDD compliance date of 23 February. The IDD was conceived to provide a framework aimed at regulating the way insurance products are sold throughout Europe, including across national borders. It sets out the information that consumers should receive before they sign an insurance contract, while also imposing conduct of business and transparency rules on distributors. The two Delegated Regulations were added in September, and lay out rules governing product oversight and governance, information provision requirements and conduct of business rules for the distribution of insurance-based investment products. In its statement, the EC said the new October application date will need to be agreed by the European Parliament and European Council in an accelerated legislative procedure. FEIFA CEO Stanfield said the seven-month postponement of the IDD was both welcome and “perhaps not all that surprising”. “While this directive, not unlike MiFID II, took many years to formulate and agree, there has been a relatively short time between the issuance of the final text and the intended commencement date,” he noted. “This has meant that some of the detail and guidelines from the European regulators, ESMA and EIOPA specifically, have only been issued and received in the fairly recent past. This has made it extremely difficult for the industry to make the changes required, which in some sectors and/or countries, are incredibly significant. Stanfield added that it was important the industry “not forget that one of the main goals of this directive, along with MiFID II and PRIIPS, is to provide greater and wider-ranging protection for consumers through better standards and processes within the industry”. “This is, of course, highly relevant and appropriate – therefore the earlier they commence the better in general terms, but only if all necessary frameworks are in place to ensure that implementation creates the intended results,” Stanfield added. The ABI’s Hugh Savill shared Stanfield’s observation that the postponement of the IDD start date was a good thing for the industry’s practitioners, but called for clarity as soon as possible with respect to what is expected of them. “It is now crucial that the delay enters into law as soon as possible, to give insurers the necessary certainty in the complex implementation process,” he said.